While often associated with old men in red trousers, the wine trade is fizzing with young talent. So much so that we felt compelled to celebrate this fact by rounding up (in alphabetical order) 30 of the brightest winemakers under the age of 40 currently making waves around the world, from Argentina to New Zealand. As you might expect, the lion’s share of the list are currently crafting wines in the New World, with the US, Australia, South Africa and New Zealand all well represented. France, unsurprisingly, dominates the Old World entries in the list, with rising stars in Champagne, Bordeaux, Burgundy, the Rhône and Beaujolais all receiving hat tips, though bright young things in Spain, Italy, Germany and the UK are also helping to shape winemaking trends and push the envelope in their respective countries. 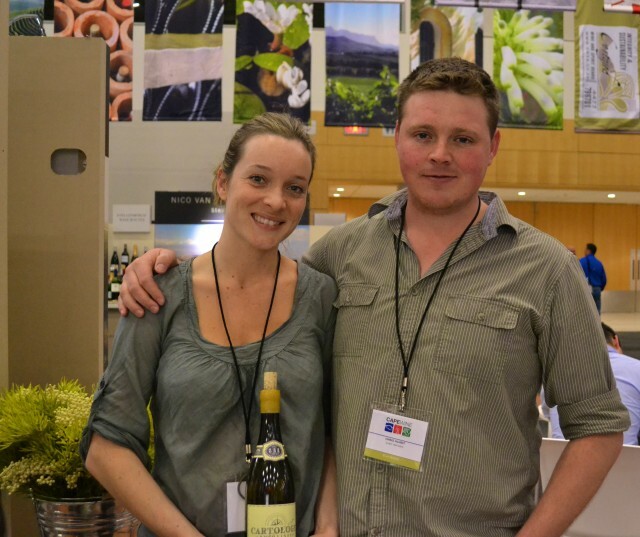 Affable husband and wife winemaking duo Chris and Suzaan Alheit work with traditional Cape varieties to make authentic Cape whites. They’re passionate about old vines, preferring to let the terroir talk by keeping cellar work simple. Having worked harvests together in California’s Napa Valley, St Emilion, the Clare Valley and the Mosel, the jet set pair made a base at Alheit Vineyards high on the Hemel-and-Aarde Ridge in Walker Bay. Their highly rated debut, Cartology 2011, is intended to be a picture of the Cape as seen through the lens of its mature vineyards. Composed of rare parcels of mature bush vines from Perdeberg, Kasteelberg and Franschhoek, the Chenin Blanc/Semillon blend is naturally fermented and aged in old French oak barrels.